Dior Haute Couture’s handpainted and embroidered silk taffeta dress. John Rocha socks, Louis Vuitton shoes with Mokuba ribbons. Bonjour Mes Amis! Recently I wrote a post (here) about visiting the new Resnick Pavilion in Los Angeles for the opening weekend. I was in awe of all of the beauty and history surrounding me. It was a spectacular experience and I am so excited to share these pics with you. 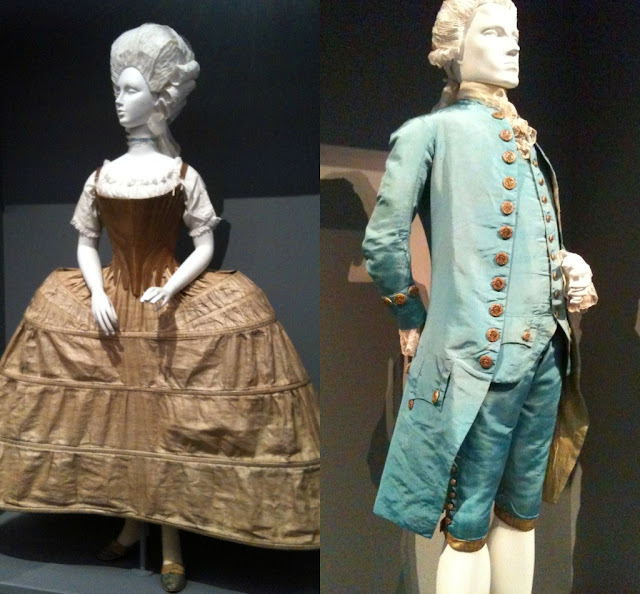 The first of the three exhibits that we visited was this amazing journey through time, "Fashioning Fashion" European dress through the ages. 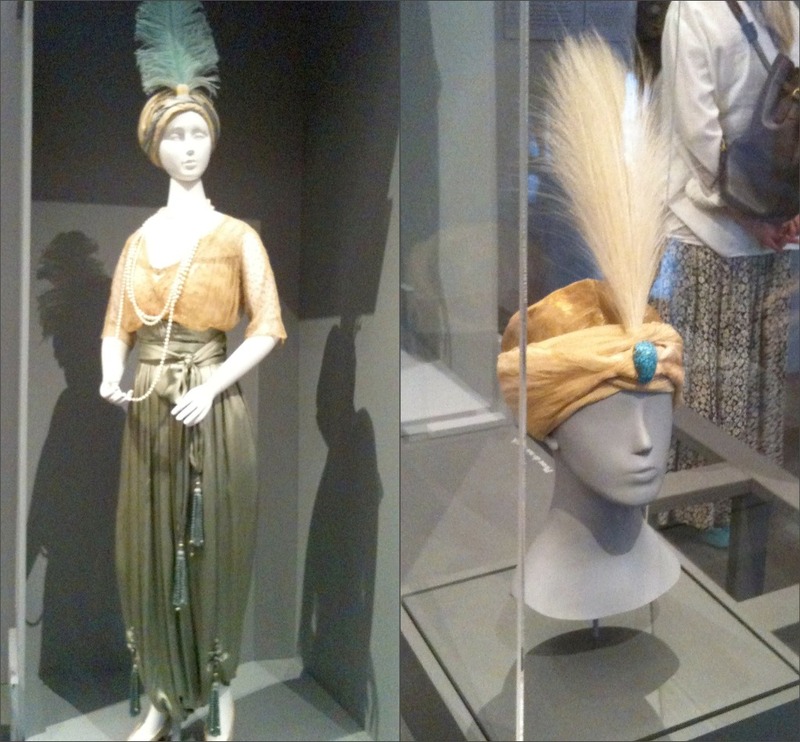 I cannot tell you just how incredible these items were in person. L. Blue Mademoiselles Giroux Dress c. 1880 made in LImoges France made in the Princess Line, named after Princess Alexandria of Whales. 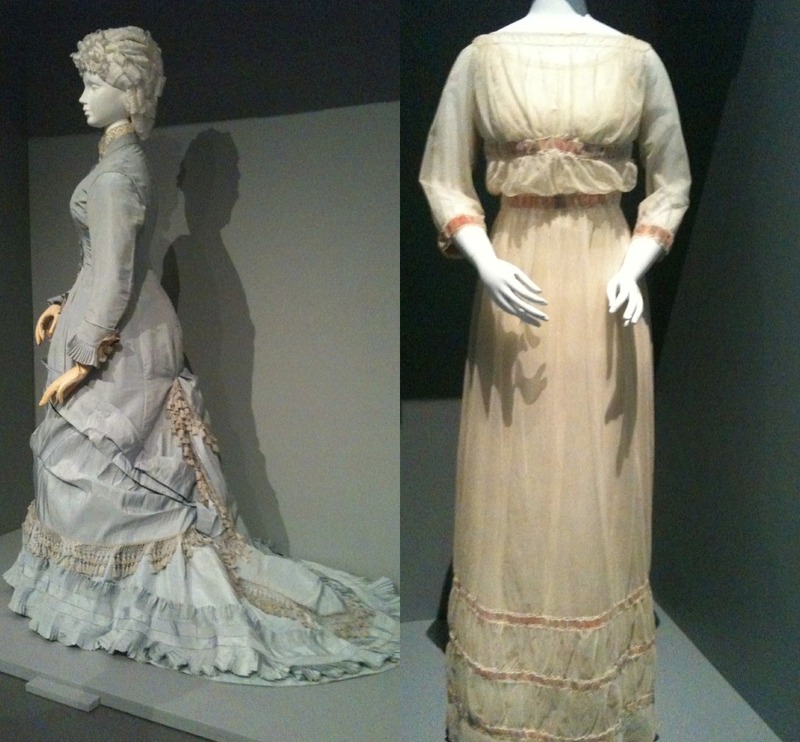 This stunning display exhibits European Dress from 1700~1915. All of the very most romantic eras are represented here and one could get lost in the glamour and the romance of it all. I apologize for the hefty amout of photos in this post, I had a really hard time editing some out. I have loads more but decided to spare you! My best friend had my camera so I took these with my phone but you just can't hide the fact that the fashion was divine! 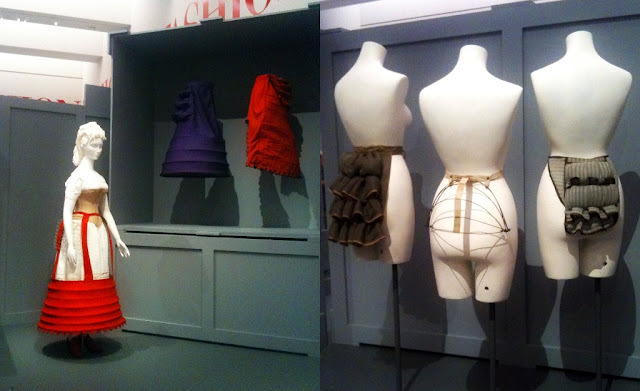 Fashion from some of the most famous and luxurious fashion houses and designers in history are on display: The House of Rouff, Émile Pingat, Giroux, and so many more. 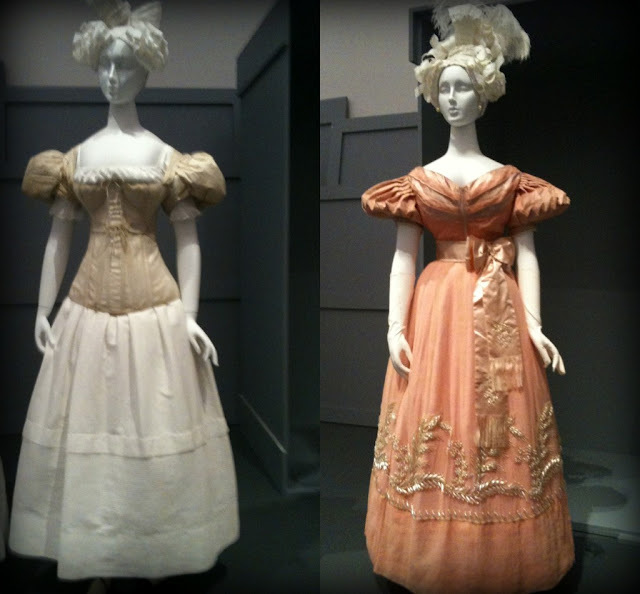 The above Pink gown is from the 1830's and is decorated with a sea of faux pearls that would weigh down the sheer overlay and make a delightful clinking noise when the lucky wearer would move. 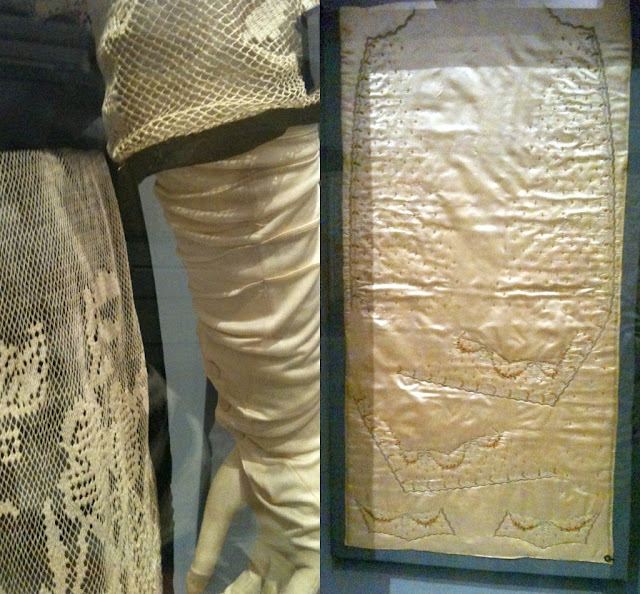 The faux pearls are glass filled with a mixture of fish scales and glue. The story behind this is remarkable, I could do an entire post over the discovery of this process by a French rosary maker. I wish I could write about each of these pieces, however, I think I would both bore you and take hours to write. Each piece has a truly remarkable history and the process of creating these works of art are incredible. The contents of these Silk~Velvet lined boxes are amazing! The larger box contains jeweled buttons for a mens suit from the 1700's, the missing ones are on display on the suit next to this box. 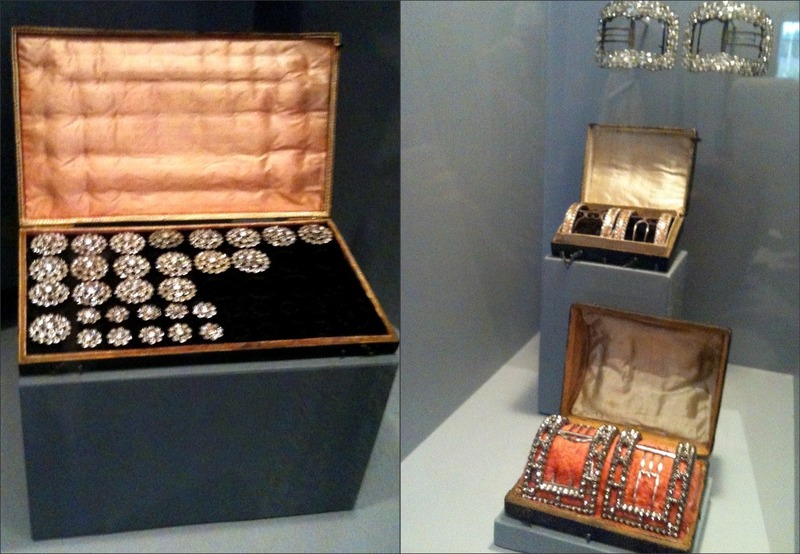 The smaller boxes contain jeweled shoe buckles! If I could only just hold one for a moment! 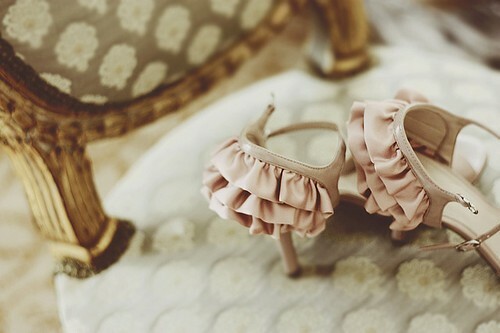 Too beautiful!!! I have been holding back writing that "this photo is my favorite"because it feels like they all are but I really do think this one is my favorite. Those bustles are fantastic and the colors! Oh my! 18th century Robe à la Française. Cream Silk with Handpainted details. 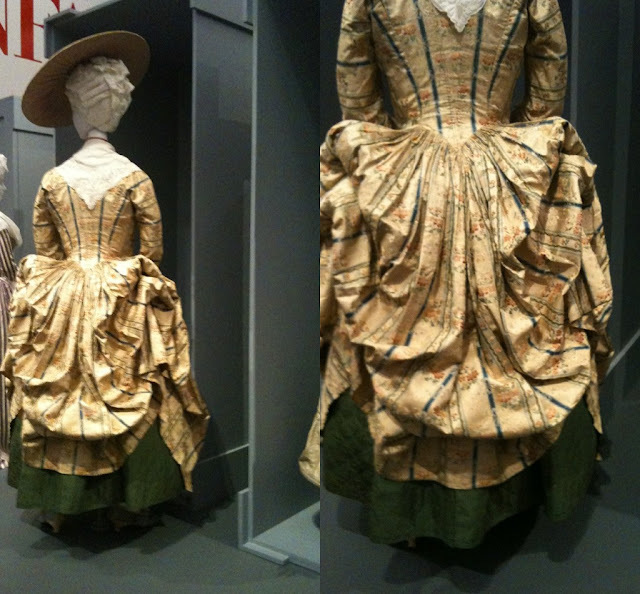 The colorful florals are woven in to the fabric but the Green/Yellow leaves and bows are handpainted. Just amazing! The thing that struck me most about everysingle piece I saw was the detail, the hadmade aspect of everything, the fact that every pleat, bead, ruffle, and delicious piece of golden passementerie, has been perfectly placed is mind blowing. 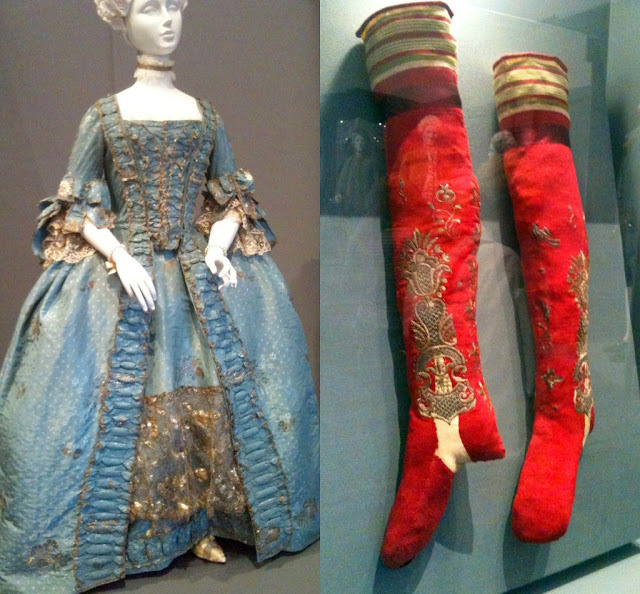 Seeing gowns and suits worn at the most luxurious courts in Europe was a special and treasured treat. 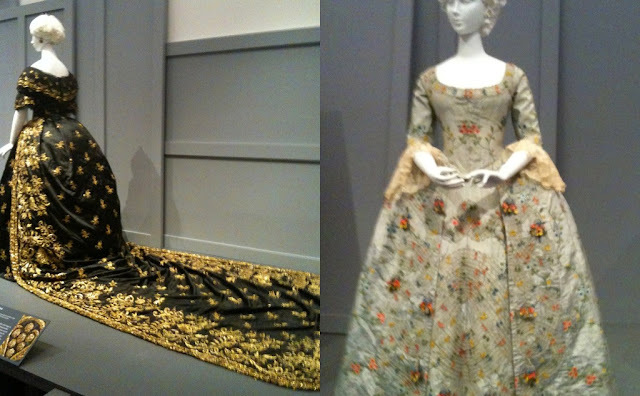 The true luxury of the textiles, lush trimmings, and artistry of each piece is intoxicating. All of these pieces and so much more (a vest from the Revolution in France, children's clothing, capes lined in ostrich feathers, etc) are currently on display at LACMA in Los Angeles until March. Bonjour! Sending out wonderful wishes for a beautiful weekend to YOU all! and kick off my shoes! Happy weekend!!!! I have two exciting posts in the wings! Stay tuned!!! Can you just imagine turning the key in the keyhole of a beautiful old building in Paris to enter an apartment that for over 70 years lay untouched. With the rent faithfully paid, the doors locked, and an incredible treasure trove hiding inside, this apartment remained a secret. That is, until the apartments last occupant recently passed away at the age of 91. She shut the apartment up just before the outbreak of World War II to go live in the south of France and she never returned. 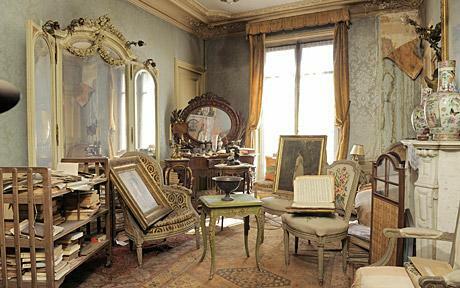 The dust filled romantic rooms of treasure were discovered by an auctioneer sent to inventory her belongings. That is only part of the romantic story of the apartment of the granddaughter of Marthe de Florian, a beautiful actress of the early screen. 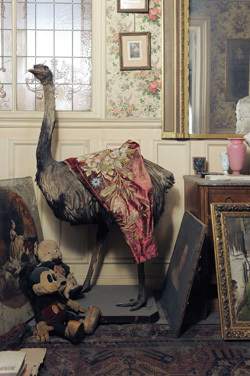 When this lucky auctioneer entered the dust-covered Parisian apartment to take inventory of the possessions, he was quoted saying that he "had the impression of creeping into Sleeping Beauty’s castle where time had stood still". 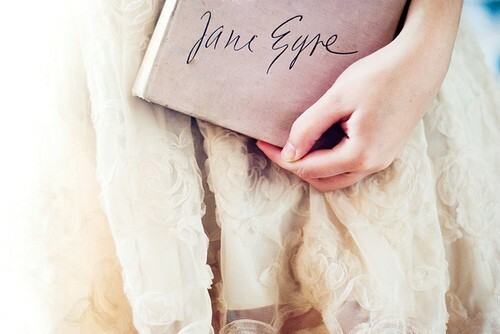 In the beautiful decaying apartment he came across a painting, which had hung in the living room, of an actress of exceptional beauty who went by the name of Marthe de Florian, enshrouded in a pale pink mousseline evening dress. The real story here is that this portrait was painted by one of 19-century Paris’ most prized portrait artists, Italian Giovanni Boldini. 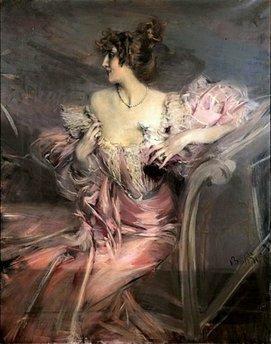 The auctioneer had a hunch that this painting was made by the famous Boldini but could not find any record of the painting, it was not in any reference books and it had never been exhibited. After extensive research he found one of Boldini’s calling cards in the apartment with a love message by the painter written to de Florian. Knowing this was the link, he continued his search and found proof that this painting was indeed a Boldini after finding mention of it in a book belonging to the painters widow. Marthe de Florian had hosted her many admirers in the apartment where “she kept letters from her lovers in little packages wrapped up with ribbons of different colors,” according to one of the people who worked on the inventory. The calling cards of senior statesmen from the period were found tucked away in drawers.